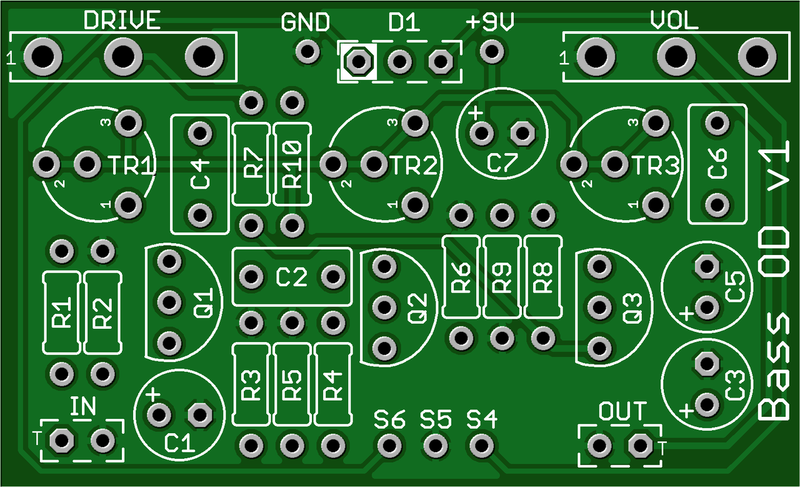 This kit includes all of the parts needed to build the GuitarPCB Bass Overdriver project. Bassists need dirt too! No one, until now, has offered something that works, with all the full, rich bottom-end that you need, while dialing up big vintage tube tones, bright modern slap sounds, gnarly distortions, and all in between. This kit ships with black Davies 1510-Style knobs and can be ordered with either a 125B or 1590B enclosure. The 125B size is recommended for beginners.